Patek Philippe in America is a book on how this brand conquered the United States. The sub title of the book, Marketing the World’s Foremost Watch, covers it pretty well. The impressive dimensions of this hard cover book – 13″ x 11″ – and the 360 pages with over 500 images reveal that this must be something special. 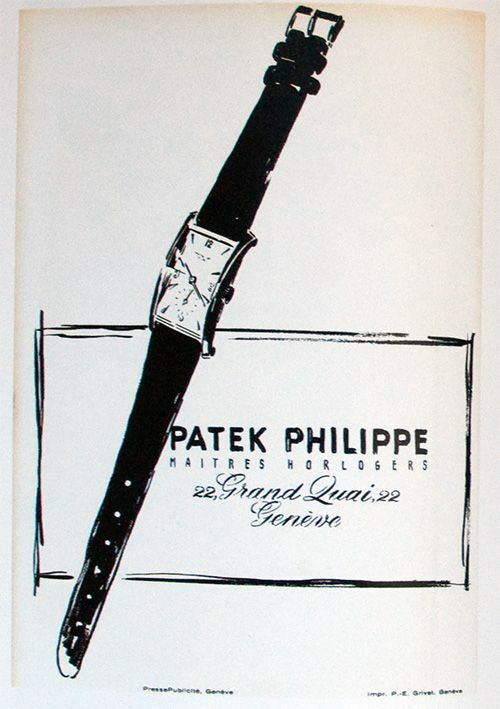 The arrival of Patek Philippe in the USA has been documented using archives, photographs and numerous advertisements starting in 1860. The author of this book, John Reardon, did an excellent job creating such a valuable treasure for collectors and admirers of Patek Philippe watches. 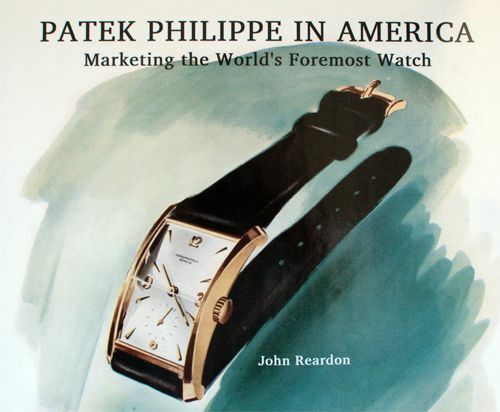 Patek Philippe in America contains 8 chapters covering the marketing of the brand from the 19th century to the 1980s. Throughout the book, notable owners from the US of Patek Philippe watches are being mentioned and shown on photographs. What to think of Joe DiMaggio? Or John F. Kennedy who received a Patek Philippe autonomous quartz clock during his stay in Berlin in 1963, famous for his historic speech to the people of Berlin stating ‘Ich bin ein Berliner’. While reading though the chapters (especially those covering the 1950s, 1960s and 1970s), I can’t help thinking about one of my favourite TV series of this moment, Mad Men. The advertisements are very clever and appealing, using great photographs and slogans (“One of the world’s costliest watches is made of steel”, referring to the 1978 campaign for the PP Nautilus). Special attention to The Caliber 89 – world’s most complicated watch – which get a few pages of coverage on its own. Introduced in 1989, it celebrates 150 years of the best watchmaking possible. This double dialed pocket watch has 33 complications and consists of over 1728 parts. John Reardon’s book shows Warren Buffet holding a Calibre 89 watch in white gold while wearing his own Patek Philippe ref.3944J. This book is a very well (and passionately) written and covers actually more than marketing the best watch brand in the United States. Patek Philippe’s rich history and philosophy on exclusive time pieces are so well documented, this can only be done by someone who has been working for Patek Philippe, like John Reardon. This makes it a book worth for every Patek Philippe collector, not only for those who resides in the United States. 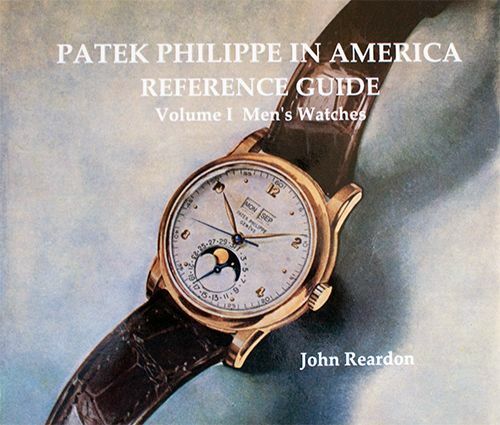 If you are a collector of Patek Philippe watches, you should be aware that John Reardon also published a Reference Guide (Volume 1) belonging to the “Patek Philippe in America” series and also limited to 1500 copies. The Reference Guide to Patek Philippe watches covers 1000 models, presented in order by reference number. Per model, John documented the reference number, materials used, movement caliber, dimensions and age. Each watch is pictured in the book with a brochure or catalogue photograph. A distinction is being made between pocket watches and wrist watches, which I think is very pleasant for collectors of each (or both) type of watches. Very useful are the pictures with each watch and the overview in the back of the book, listing all movement and reference numbers. You don’t need both books in order to have a good overview, but I would recommend both for the serious Patek Philippe collector. John Reardon is a well respected and noted expert in watches and clocks. He has worked for Sotheby’s New York, the Henry Stern Watch Agency (Patek Philippe USA) and he now works for Betteridge Jewelers as a Director of Vintage and Estate Watches. His books can be ordered on-line through his website www.patekphilippeinamerica.com. Patek Philippe in America – Marketing the World’s Foremost Watch is still available (only a few copies left) for $395 and the Reference Guide (Volume 1 Men’s Watches) for $295. These prices exclude shipping.